Let’s teach every child how to make healthy choices! · What is the gang of mice plotting? · Who is Pepper, the little creature who suddenly showed up on the island? 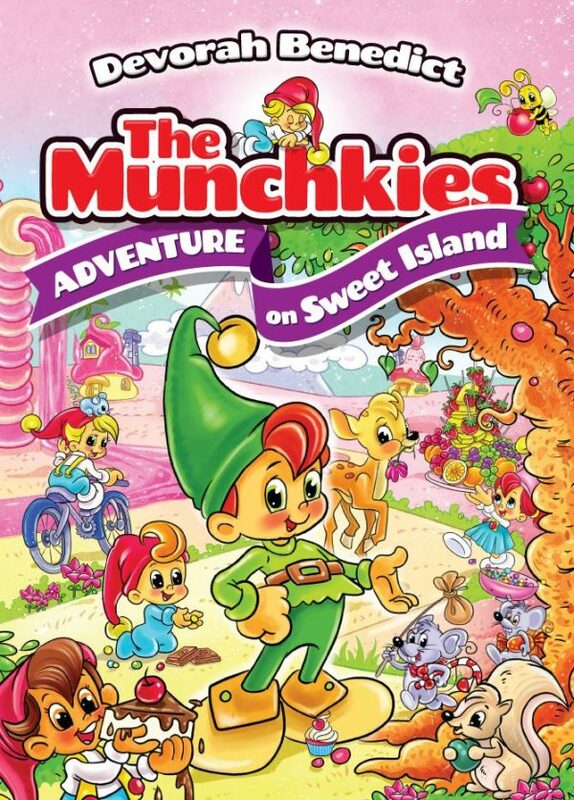 · What magic potion do the Munchkies find? Acquiring healthy habits in childhood is a gift for a lifetime. This book will teach kids all about a healthy lifestyle in an exciting, experiential way. They’ll learn about the importance of healthy food, fruits and vegetables, avoiding junk food, drinking water instead of sweet drinks, exercise, good hygiene, brushing teeth, and going to sleep on time. DEVORAH BENEDICT is an artist, author and illustrator. She gives workshops throughout Israel and has illustrated hundreds of children’s books. She specializes in using the medium of art to impart messages to young children and is the author of 12 bestselling children’s books that have been translated into 6 languages, including I Want a Friend, which gives children practical tools for social success.